There is no cure for glaucoma but the probability of keeping it under control is extremely high especially with early diagnosis and care. Speak with the glaucoma specialist in nyc if you have concerns about early markers to glaucoma. To alleviate the pressure being built up the standard treatment is usually through the application of eye drops. In severe cases surgical intervention may be needed. In many people the only symptom glaucoma is gradual loss of vision which can lead to blindness. It was long assumed that loss of vision usually begins with the peripheral vision, but this is not necessarily the case. Although good central vision is often maintained until the end stages, the first scotomas (blind spots in the visual field) often begin within the central 10 degrees (central vision). However, defect in the visual field of one eye is usually masked by intact vision in the same portion of the visual field by the other eye, so that the time the patient notices the visual loss, extensive damage has often already occurred. What is glaucoma treated for? The whole purpose of treatment for glaucoma is to prevent further loss of vision. Once the nerve cells have been damaged and the vision carried by those nerve cells lost, they cannot be replaced. LOSS OF VISION IN GLAUCOMA IS IRREVERSIBLE. Lowering the intraocular pressure (IOP) will not restore lost vision, but is an attempt to prevent further vision from being lost. At the present time, agents which improve blood flow to the eye and neuroprotective therapy (agents which protect the retinal ganglion cells and their axons which form the optic nerve and pass through the lamina cribrosa at the back of the eye on their way to the brain) are being investigated for their efficacy in treating glaucoma. However, the only treatment which has so far been proven to be effective remains lowering IOP, and all drugs presently marketed for the treatment of glaucoma are drugs which work in this fashion. In order to minimize or prevent further visual loss from glaucoma, IOP must be constantly controlled. This requires chronic use of medications. If a drop is given four times a day, it is because the effect of the drop only lasts about 6 hours. Drops given twice a day have a duration of action of about 12 hours. Proper spacing of drop instillation and use of punctual occlusion (pressing with the finger over the tear duct for 1 minute to prevent the drop from running into the nose) will result in about 50% more medication getting into the eye, a longer duration of action, less fluctuation in IOP, less absorption into the nose and from there into the blood stream, and fewer systemic side effects. 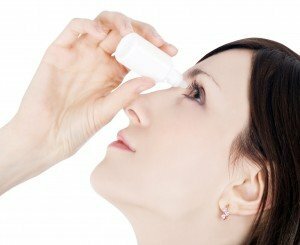 What are the side effects glaucoma medication? One of the most difficult problems faced by glaucoma patients is that of having to take medications, which may have both ocular and systemic side effects to control a disease, which is usually painless and has no symptoms. Understanding the necessity for the medication often helps to reduce the severity of a side effect, since it is often magnified by anxiety. A side effect is any action produced by a drug beyond the intended one of lowering IOP. Some patients have no side effects whatsoever, while others find them too severe to tolerate. Some side effects are minor but common, such as redness and allergy, while others are rare and affect only occasional patients. Why a drug causes side effects in some persons and not others or why the same side effect of the same drug is severe in one person and mild in another are poorly understood. Why one drug may be highly effective at lowering IOP in one person and not in another is also poorly understood. Presumably, genetic factors are responsible. These genetic factors may influence the disease itself or the binding and metabolism of various drugs. Quality of life is important. Dr. Belgorod will sometimes have to make the decision to perform laser or operative surgery, even if IOP can be controlled, if the side effects of the medications necessary for control are intolerable. It is up to you, the patient, to participate in and ultimately make the decision in such a situation. What you should not do is skip taking the medications and lose vision because of side effects. You should also not be afraid to mention any side effects you might have or attribute to the drugs, since it is not your fault that the drugs cause them. All drops may cause some burning or stinging when instilled. Often, this effect is due not to the drug but to the antibacterial preservatives in the solution. It is rarely intolerable and can be used to advantage, since it lets you know that the drop got into the eye. Many patients don’t think a drop is really medicine if it doesn’t cause a little irritation. Parasympathomimetics: (cholinergic agents, miotics) These drops help to open the trabecular meshwork (the eye’s drainage system, situated in the angle between the iris and cornea) and increase the rate of fluid flow out of the eye. The most common is pilocarpine. This drug is usually prescribed 4 times daily (although it has been shown that with proper punctal occlusion, the duration of action is nearly doubled and the drug could be given three times or even twice a day), and because the newer drugs need be taken less often, pilocarpine has fallen out of favor, even with glaucoma specialists. Nevertheless, it is an excellent drug and the only one we have which works on the trabecular meshwork. Pilocarpine Ocuserts are long-acting delivery systems worn under the eyelid which release pilocarpine slowly over a number of days, and are much better tolerated by younger patients with fewer and less severe side effects. Unfortunately, the manufacturer of Ocuserts has discontinued making them and they are no longer available. Carbachol is similar to pilocarpine but somewhat stronger. Echothiophate (PHOSPHOLINE IODIDE) is even stronger but has a tendency to cause cataracts and is only used in patients who have already had cataracts removed. Once again, unfortunately, the company that produces echothiophate has discontinued its manufacture and it is only sporadically available. Hopefully, this situation will change, since some patients were dependent on this drug for adequate control of IOP. Sympathomimetics Epinephrine: (adrenaline) lowers IOP by increasing the rate of fluid flow out of the eye and decreasing the rate of aqueous humor production. It is rarely prescribed today. Dipivefrin (PROPINE) is a prodrug which is converted to epinephrine once inside the eye. It is usually is taken twice a day. Alpha agonists: Alpha-agonists reduce aqueous humor production and increase aqueous humor outflow. Outflow through the trabecular meshwork (the drain of the eye) accounts for about 90% of the eye’s fluid drainage capability. Uveoscleral outflow, by which fluid flows into the ciliary muscle beneath the trabecular meshwork, normally accounts for about 10% of the outflow from the eye in older persons. However, when the meshwork is damaged by glaucoma, uveoscleral outflow becomes more important. Apraclonidine (IOPIDINE) and brimonidine-P (ALPHAGAN-P) are alpha-agonists which are presently marketed. Brimonidine has a significantly higher relative selectivity for the alpha-2 receptors, while apraclonidine has mixed alpha-1 and alpha-2 stimulatory activity. Beta-Blockers Adrenergic antagonists: decrease the rate at which fluid flows into the eye. The nonspecific beta-blockers, timolol (TIMOPTIC, BETIMOL), levobunolol (BETAGAN), carteolol (OCUPRESS), and metipranolol (OPTIPRANOLOL) appear to have a slightly greater pressure-lowering effect than the beta-1-receptor-specific drug betaxolol (BETOPTIC), but the latter is safer in patients with pulmonary disease, such as asthma or emphysema, and may have less of an effect on blood pressure. Betaxolol has also been reported to improve ocular blood flow. Oral beta-blockers are commonly used for hypertension and angina and in these situations, also lower IOP. Carbonic Anhydrase Inhibitors: These drugs reduce fluid flow into the eye by inhibiting an enzyme, carbonic anhydrase, which is important in the formation of aqueous humor. For 40 years, these were used in the form of pills, which commonly cause side effects, sometimes serious. The most frequently used have been acetazolamide (DIAMOX) and methazolamide (NEPTAZANE). Long-acting acetazolamide sequels are more effective at providing steady lowering of IOP and have fewer side effects than the tablets. Once a mainstay of glaucoma therapy, they are used today only in occasional patients in whom topical medications are ineffective. The manufacture of methazolamide has recently been discontinued. Dorzolamide (TRUSOPT) and brinzolamide (AZOPT) are topical carbonic anhydrase inhibitors introduced a few years ago. These are as effective as the pills in most patients and have far fewer side effects. COSOPT is a combination of dorzolamide (carbonic anhydrase inhibitor) and timolol (adrenergic antagonist) in one bottle. The combined effect of these two agents administered together results in additional IOP reduction compared to either component administered alone, but the reduction is not as much when dorzolamide and timolol are administered concomitantly but separately. Prostaglandin Analogues: The most recently introduced class of compounds, these drugs have become the mainstay of glaucoma treatment. Latanoprost (XALATAN) was the first of these agents brought to market in the U.S. It acts predominantly by increasing uveoscleral outflow, which it does by remodeling the surfaces of the cells of the ciliary muscle, increasing the size of the intercellular spaces through which fluid can presumably flow more easily. Travoprost (TRAVATAN), bimatoprost (LUMIGAN) and Unoprostone (RESCULA) were introduced in 2001. Package inserts contain long lists of possible side effects. Most patients get no side effects at all. If you do, it may only be a minor bother. Serious side effects are rare. If they weren’t, the drugs wouldn’t have been marketed in the first place. All drops may cause burning and stinging and any drug may produce redness and itching, which are signs of allergy or a localized contact dermatitis. Often, these side effects are due to the preservatives included in the bottle of drops. If you have a definite allergic reaction to a drug, you should stop using it. If you think you might be suffering from a side effect of a drug, particularly an uncommon one or a subjective one, such as anxiety, depression, or vivid dreams, the only way to prove that it is actually related to the drug is to stop using it, wait for the reaction to go away, and try it again. This is known as retesting. If you think you have an unusual reaction to a drug, mention it to your physician. MIOTICS may cause periorbital pain, browache, and pain inside the eye. This often disappears after a few days of taking the drop. Blurred vision and extreme nearsightedness are most common in younger patients, who often cannot tolerate these drops. Because miotics reduce the size of the pupil and prevent it from dilating normally in the dark, many patients complain of dim vision, particularly at night or when going into a dark room. Systemic side effects are rare with pilocarpine, more common with carbachol, and not unusual with echothiophate. These include stuffy nose, sweating, increased salivation, and occasional gastrointestinal problems. Rare side effects include retinal detachment, mostly on circumstantial evidence. Patients with high myopia and pigment dispersion syndrome are more prone to both retinal detachment and glaucoma. Pilocarpine gel is applied at bedtime and may be substituted for drops in many patients. In addition to the convenience of not having to use drops four times a day, the effect on the pupil is often less. Pilocarpine Ocuserts are slow-release membranes worn under the lids and changed every 5 days. These cause less blurring of vision and are especially useful in younger patients. They are no longer available. EPINEPHRINE frequently causes burning on instillation. A red eye is common and is an effect not of the drop initially, which whitens the eye by constricting blood vessels, but of the rebound effect when it wears off. The most common problem is development of an allergic reaction, which may occur after years of use. Epinephrine may cause palpitations, elevated blood pressure, tremor, headache, and anxiety. The side effects of dipivefrin (PROPINE) are less frequent and milder, particularly systemic side effects. BETA-BLOCKERS cause few ocular side effects. A few patients have complained of blurring of vision. This is more common when beta-blockers and epinephrine are used together, because this combination dilates the pupil. The most common systemic side effects include exacerbation of pulmonary disease, difficulty breathing, slowing of the pulse, and decreased blood pressure. Betaxolol is safer to use in patients having these side effects. Central nervous system side effects include dizziness, depression, fatigue, weakness, decreased exercise tolerance, hallucinations, insomnia, and impotence. Hair loss may occur in some patients and is a frequent question popping up on the Internet. Preservative-free timolol is an option in patients who are sensitive to the preservatives in the standard brands. Orally administered CARBONIC ANHYDRASE INHIBITORS commonly cause side effects. The most common are urinary frequency and tingling in the fingers and toes. Kidney stones may occur. A rare but serious side effect is aplastic anemia. Rashes are not uncommon. Potassium loss may occur when these drugs are taken simultaneously with digitalis, steroids, or chlorothiazide diuretics. Depression, fatigue, and lethargy are common and are often not realized to be drug-induced. These side effects may not appear immediately but develop gradually. Since many patients with glaucoma are elderly, these side effects are attributed to getting older. Patients and their families should be on the alert for these side effects and, when suspected, the drug can be stopped for a short time for verification. Other common side effects are gastrointestinal upset, metallic taste to carbonated beverages, impotence, and weight loss. Sequels cause less side effects than tablets. The use of topical carbonic anhydrase inhibitors has markedly reduced the frequency and severity of these side effects. With chronic use, some 20% of patients develop a topical allergy, with conjunctival redness and itching, redness, scaling of the lower eyelids. Occasional patients develop side effects similar to those reported for oral agents. ALPHA-AGONISTS are chemically related to systemic medications for the treatment of hypertension. The most common side effects are ocular burning, itching, brow ache, slight elevation of the upper lid, dry eye, mouth, and nose, photophobia, headache, dizziness, mild sedation, fatigue and depression. Ocular allergy develops in a high percentage of patients using IOPIDINE on a prolonged basis; allergic reactions appear to be less with ALPHAGAN, which has now been discontinued and replaced by ALPHAGAN-P, contains purite as a preservative and is less allergenic. PROSTAGLANDIN ANALOGS are the most potent IOP-reducing medications now available. They are well-tolerated and require only once daily dosing. Conjunctival redness is common and if accompanied by itching, suggests an allergic reaction. It is seen more frequently in patients using travoprost and bimatoprost and appears to be less with latanoprost. Darkening of iris color may occur in some eyes over several months or more due to an increase in the production of melanin in the melanocytes of the iris. Pure brown eyes and pure blue eyes are not affected. Mixed colored eyes, i.e. blue-brown, yellow-brown, grey-brown, green-brown, hazel eyes are. Typically the brown pigmentation around the pupil spreads concentrically towards the periphery in the affected eyes, but the entire iris or parts of it may become more brownish. Eyelash changes (increased length, thickness, pigmentation, and number of lashes) are typical and regarded as a benefit by most patients. Reversible darkening of the eyelid skin darkening may also occur. Flareups of uveitis and swelling of the retina in the central visual area (cystoid macular edema), may occur in some patients after cataract surgery. Therefore they should be used with caution in patients with known risk factors for macular edema. It has been suggested that the uveitis is not inflammatory, but due to increased permeability of the blood-aqueous barrier, a tight connection between cells which prevents blood proteins and cells from reaching the interior of the eye. Reactivation of herpetic keratitis has been reported. Just as the systemic side effects of beta-blockers were largely unrealized until they had undergone extensive use, unusual systemic side effects of prostaglandin analogs are only beginning to be reported. These include gastrointestinal disturbances similar to those caused by aspirin or other nonsteroidal anti-inflammatory agents, chest pain, and palpitations.